Have you ever wondered how the ACs capable of taking hot and humid air and conveniently transforming it into a crisp breeze? It might seem like magic but there is solid science behind it. Refrigerants, including Freon, are the chemicals which make the magic happen. As the air goes through the entire refrigeration cycle, the refrigerant in the AC is properly compressed and then expanded quite a few times. This allows you to take advantage of its absolutely unique ability to cool the air quickly. First, we have refrigerant which is pumped through the entire system continually thanks to the actions of a device which is right outside your unit. This is called a compressor. This particular unit is actually doing the exact thing that its name suggests – it is going to compress the refrigerant until it is nothing but hot vapor. From there, the refrigerant is going to move through the entire expansion valve. This is where the heat that remains is being released as the pressurized liquid is passed through very slowly. The valve allows it to expand into gas. When it is nice and it’s cool, it is going to head right into the evaporator coil and it is going to run through it where the air is being passed over in a tube which is quite thin. It is housing the refrigerant and it transforms it into very cool air. The thing that you need to account for here the most is that the refrigerant or the Freon, if you will, is something integral. This is the thing which is making your AC work the way it does and you can’t allow yourself to run out. And you can run out if you are not paying the necessary attention. With all this in mind, the best thing that you should take into consideration is to schedule regular maintenance checks with a professional company. This is going to ensure that your system works perfectly and as intended. Additionally, you should keep in mind that the lack of Freon in your AC is something that can cause a lot of problems a lot quicker. This is capable of causing a significant amount of property damage. It is impossible, for that reason, to overstate how critical maintenance is. This is one of the single, most important things that you would have to be focusing on in order to ensure that your AC is working properly. 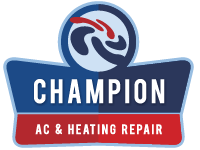 Call an AC Repair professional in Stouffville and get your systems checked. If needed, they might have to add Freon to your system or if it is too late, you might have to replace the compressor. Why Is Your Air Conditioner Producing Water? Is Your AC Improving The Quality of Your Air?